Guerlain's limited-edition Liu Perfumed Shimmer Powder Face, Body & Hair ($88.00) was to be the star of the Holiday 2012 Color Collection. I think the Liu Eye & Lip Calligraphy Palette is the superstar. Sorry, Liu, but you have limited usefulness. Liu Perfumed Shimmer Powder reveals a light-as-air loose powder that enhances the face, body, and hair (or possibly your clothing) with an iridescent golden veil. A mere press of the bulb releases the powder, leaving a very light version of Liu’s mesmerizing aromas in its wake: a composition of aldehydes, sensual roses, vanilla, iris, and woody notes. Many will recognize Liu’s original bottle, with its elegant black glass case and golden letters reminiscent of a Chinese tea caddy. A black woven bulb has been added, transforming Guerlain's legendary fragrance - hard to find now, and if you do, it will cost you dearly - into a desirable and feminine makeup accessory. Liu's appearance is exactly what I expected. I purchased mine at Neiman Marcus and immediately tried it out when I got home. My first reaction? Where's the smell? Once again, I'm attempting the impossible, trying to show you how Liu Perfumed Shimmer Powder looks on the skin - my skin (click on the photos to enlarge them). I don't want it in my hair, although that might be the best place for it. I'm sparkle-averse, so I have limited use of the new Liu. I sprayed the powder relatively heavily on my arm and took my swatch photos in full sun. What you see is what you get. Liu leaves an ever-so-slightly pink tint and a lot of micro-glitter. The fragrance was disappointing. 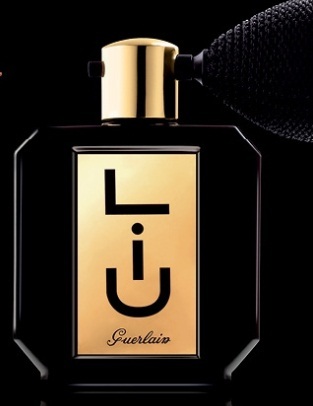 Guerlain's Liu perfume is barely detectable. This holiday powder plays off its reputation, but doesn't evoke it with any significance. I was excited about this powder - not because of the sparkle, but because of the fragrance. I thought I'd get a mini-Liu. It's not that good. You might as well forget the fragrance and concentrate on the powder. If you want to spend your beauty allowance on a nearly clear sparkly powder, and you're willing to spend $88 on it, this is the powder of Holiday 2012 for you. How many crazy women joined me in purchasing it will probably remain unknown. You can find Guerlain's Liu Perfumed Shimmer Powder Face, Body & Hair at all Guerlain counters or online. Nordstrom is a great online source. This I will pass up. Love your comments, however, LOL. Today I used my new Turandot eye quad and Lou-Ling lipstick from the Guerlain Holiday collection. Love them! I had just removed my eye makeup last night when they arrived via FedEx and, since I could not wait to try them this morning, I did a brief application last night, and wow, I knew they would be superstars. I'm always excited by new makeup. Have fun! Well, with everything else I want from this collection, I'm just as glad not to add this to my list. I actually like the shimmer powder, but then I'm not in the least bit adverse to lightly applying shimmer to my décolletté or my hair when I attend concerts, the ballet, or the theatre. I'm also not adverse to spending money on something that might be limited in use, but is an esthetic indulgence that gives me pleasure and Liu does just that. The scent is very delicate and does not last long but neither did the scent in last year's Vol de Nuit shimmer powder. It was a beauty none the less and gave me great pleasure every time I used it and I expect the case will be the same with Liu. To bolster the fragrance (Vol de Nuit and Liu) I also apply a bit of the real deal. Not everyone is going to want to do that, though. What Guerlain has created is a shimmer powder that just happens to have a light fragrance rather than a fragrance that just happens to have some shimmer. I think that is where there is potential for disappointment. If you want a beautiful golden shimmer that applies evenly and with a fleeting scent, then Liu will be worth a look-see. If you want a sumptuous fragrance experience (and Liu the perfume is just that) then don't waste your money. Liu the shimmer powder offers just a mere hint of the actual fragrance. I am so curious about pressed powder. Did you have a chance to try it? What are your thoughts? Are you referring to the Wulong pressed Météorites? I did have the chance to test it at the counter (beautiful and silky as to be expected), but since I don't have to worry about touch ups throughout the day, I never use compact powder. I do know, though, that the various compact versions of Météorites have a lot of fans. Amy of Café Makeup and Gaia of The Non-Blond both love the compact version of Météorites especially for travel. Amy has a review of last year's Voyage compact and Gaia has a review of the Wulong compact that you might want to take a look at. 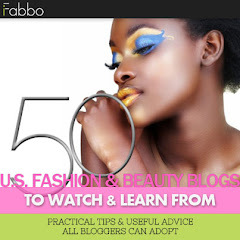 Gaia's review was posted on Monday, 10/15. I forgot to mention that Guerlain makes a regular version of pressed Météorites in various shades that come in a modest plastic compact for under $60. Wulong commands the premium price because it is a refillable limited edition in a durable and more luxurious case. I really like that shimmery swatch, C-girl, it looks so pretty on you! I understand you're not very interested in it, but I'm hoping you might attend a few swanky parties over the hols that will allow you to enjoy your Liu powder. It is such a shame that Liu is so expensive now. It's truly stunning for us No 5 lovers! It has its purposes, but not in my life. Lena, look at The Non-Blonde. You won't believe what Mike in France charges for it! Right, but Mike is a nightmare! Stay away!! Eileen and Charleston Girl, thank you! I actually purchased this powder and I personally love it! It looks absolutely GORGEOUS in the hair. My hair is golden brown so it enhances the gold and gives it an extra oomph. Perfect holiday hair!